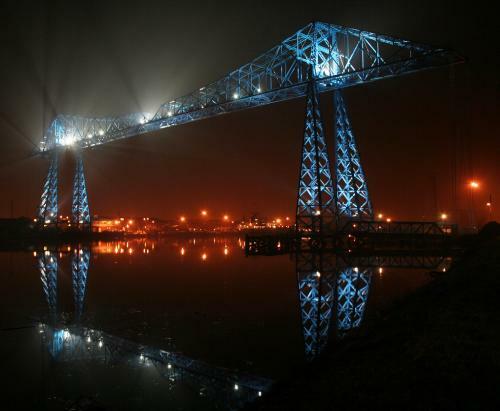 The Middlesbrough Transporter Bridge connects Middlesbrough on the south bank to Port Clarence on the north bank. It transports a supended gondola across the river in 90 seconds and carries two hundred people and nine cars as part of the A178. 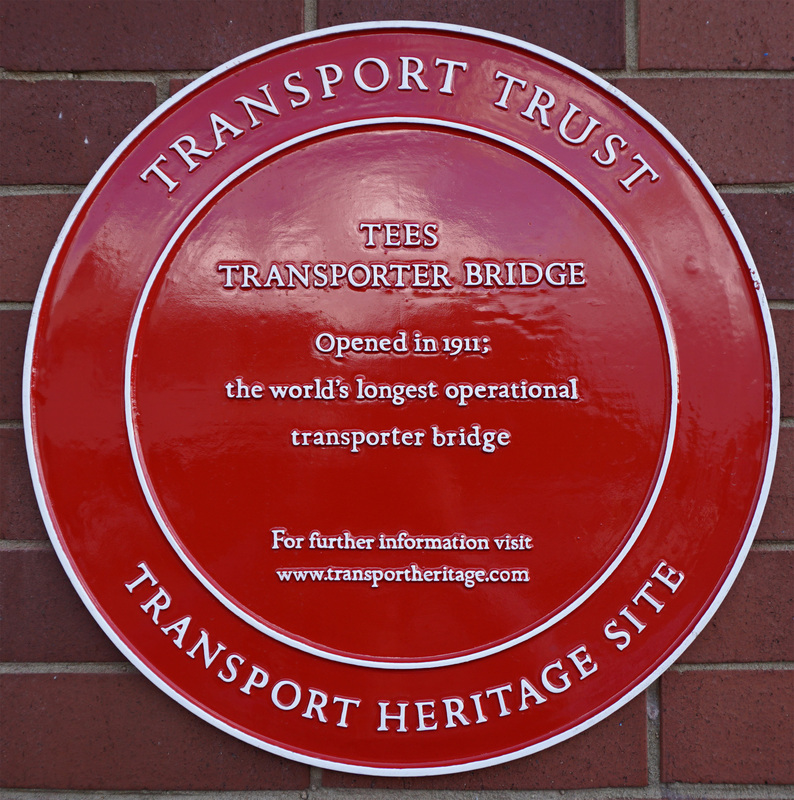 The bridge was built by Sir William Arrol & Co. in 1911 under a 1907 Act of Parliament. 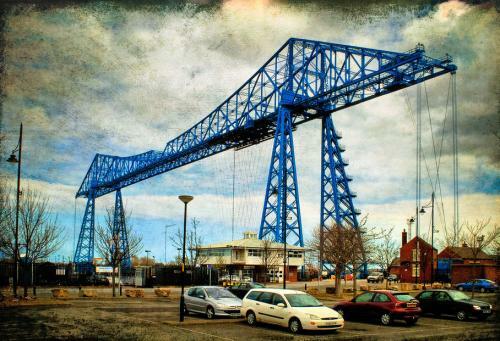 Teesside has a long tradition of bridge building. 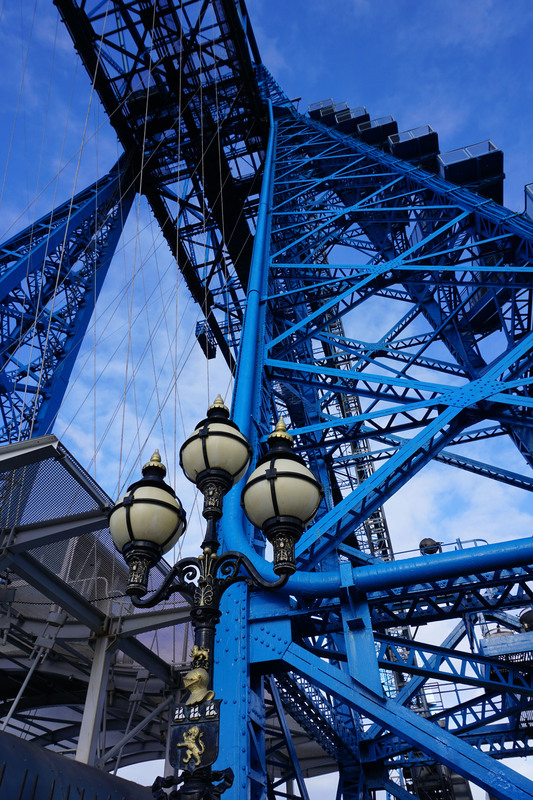 Many of the world's greatest bridges including the nearby Tees Newport Bridge, the Tyne Bridge and the famous Sydney Harbour Bridge in Australia were designed and constructed from Dorman Long steel. 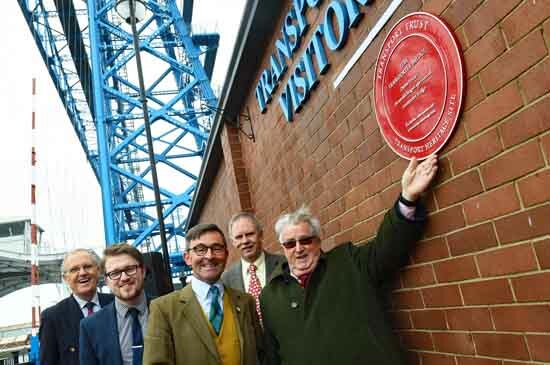 However, the Middlesbrough Transporter Bridge at 260 m (850 ft) long and 69m (225 ft) high at the tallest point, is the largest working bridge of its kind in the world, with a span of 259m (820 ft). 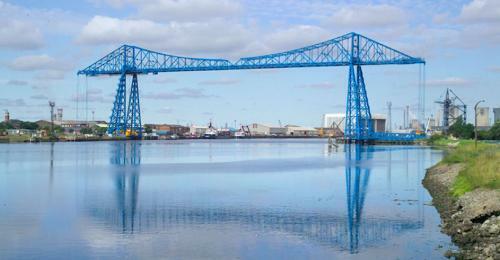 The bridge is, effectively, two almost independent structures joined at the centre of the River Tees. 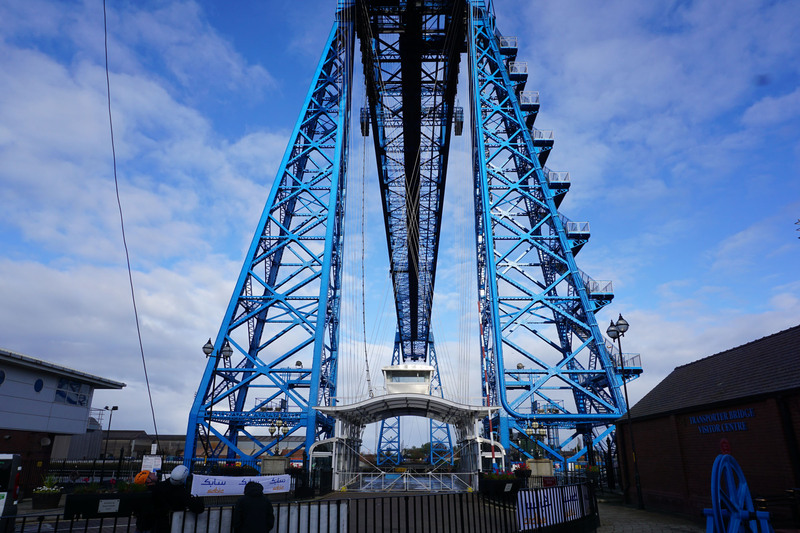 Each half of the bridge has an 'anchor' span of 42 m (138 ft) and then cantilevers across the river some 86 m (282 ft) from the tower leg to meet its twin from the opposite bank. 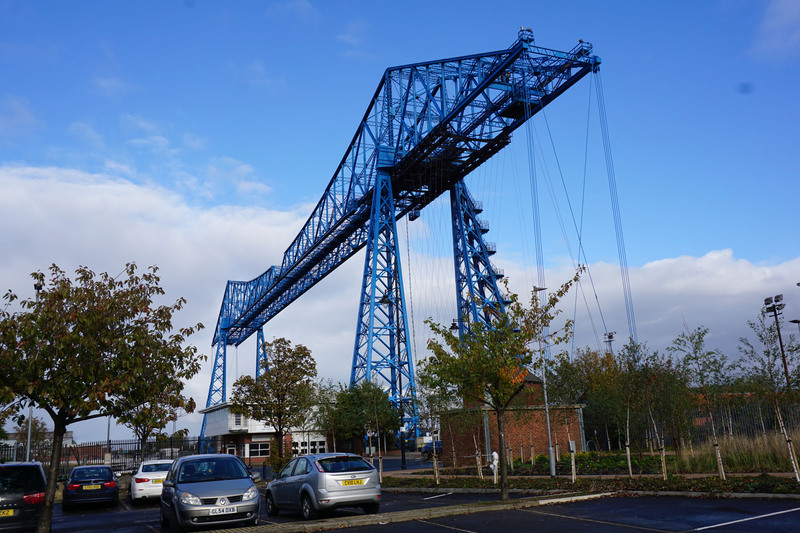 The passenger gondola is suspended by steel cables and runs on a wheel and rail system 50 m (164 ft) above the River Tees. 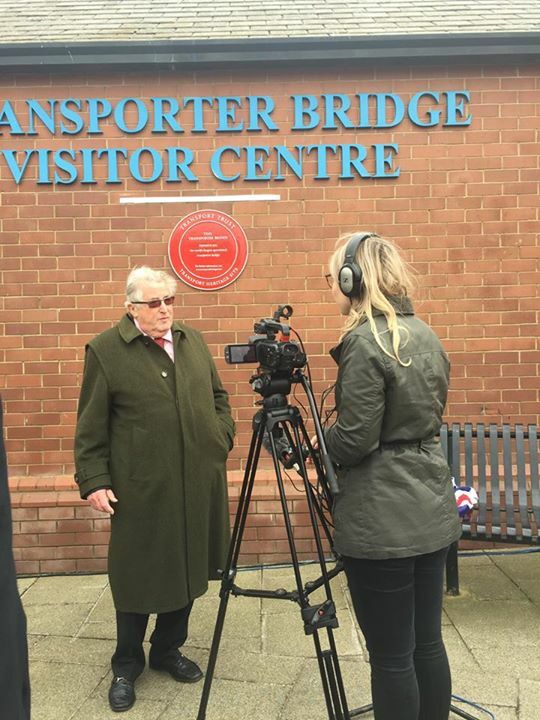 The bridge remains fully operational and provides a regular quarter-hourly service between Middlesbrough and Port Clarence for 18 hours a day. This service is interrupted from time to time for routine maintenance works, with some lengthier closures for major refurbishment. 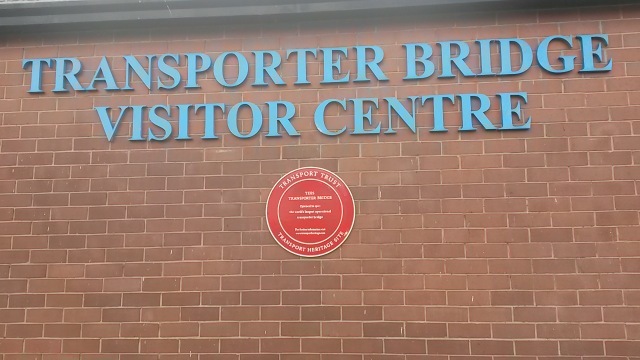 The bridge was awarded The Institution of Mechanical Engineers' highest honour, The Heritage Plaque for engineering excellence, in 1993. 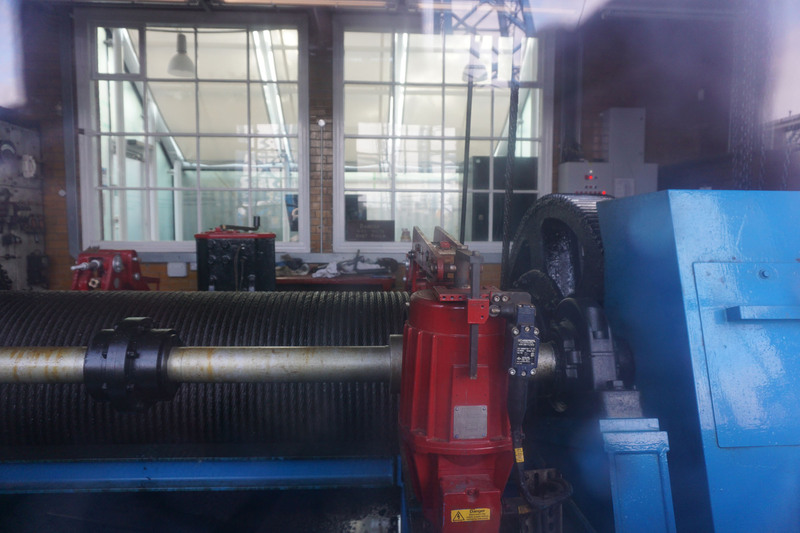 It is a Grade II* Listed Building.